Treasured Waterfront 2 Bedroom 2 Bath loft with parking space ! Treasured Waterfront 2 Bedroom 2 Bath loft with parking space!!! This 1850's warehouse overlooking New York Harbor was renovated in 2006 into magnificent authentic loft apartments. This particular loft is 2000 square feet and includes a huge master bedroom with dressing room and on suite bathroom. The second bedroom, is a rare opportunity in this building. 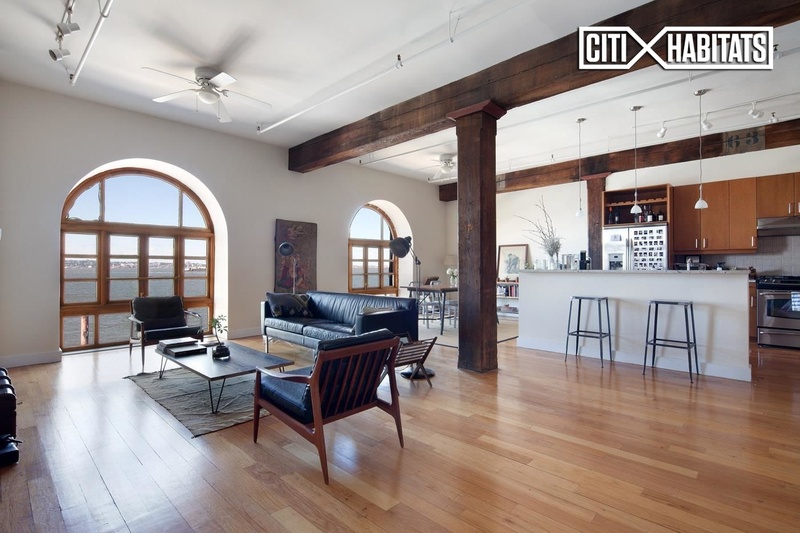 The contemporary kitchen is combined with original civil war era wood beams, exposed brick, and refinished natural oak floors for the ultimate in loft living. The over-sized windows face the harbor and bring in strong sunlight throughout the loft with breath taking ocean views. 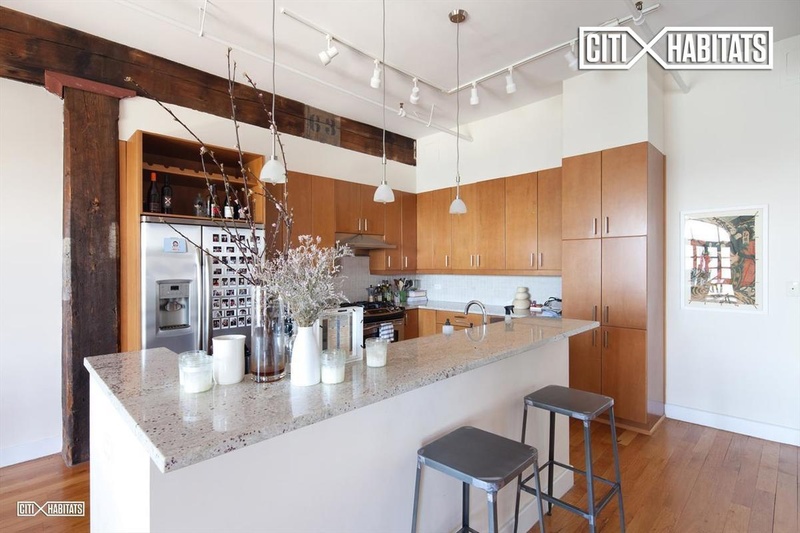 This unit has extra high ceilings a luxurious 13 feet high and offer an expansive open loft living dining kitchen layout great for entertaining. The building amenities include a part time doorman, a private building gym, expansive landscaped roof with magnificent 360 degree views including Manhattan and the Statue of Liberty. On the third floor you will find a unique inner courtyard oasis and just outside the buildings entrance an outdoor garden designed by famed public garden designer Lynden Miller to welcome you home. Heat and A/C is a stabilized low monthly fee and pets are on a case by case, parking is included. Red Hook, Brooklyn is an unspoiled waterfront community with highlights such the Pier 44 Waterfront Garden, Valentino Pier, the Red Hook Ballfields. Near to much fantastic food as well as drinking establishments such as the Red Hook Winery, Fort Defiance, The Good Fork, Brooklyn Crab, Baked, Botanica and Steve's Key Lime Pie. Transportation is available at the Carroll Street F & G Train as well as the Prospect Ave D, N, R and the newly opened East River Ferry Red Hook stop.